Enjoy a unique dining experience in the Franschhoek winelands with the all new small plates menu at The Restaurant at Grande Provence. The menu offers a wide range of small plate options of some of Chef Guy Bennett’s most popular dishes. Choose three of your favourite plates from grilled linefish, a warm goat cheese salad, spiced crispy squid, low & slow beef short rib, a creamy risotto with pancetta, soy braised pork, artisanal cheeses, as well as a dark chocolate fondant to hit your sweet spot. Your trio of small plates is accompanied by a tasting glass of Grande Provence wine. 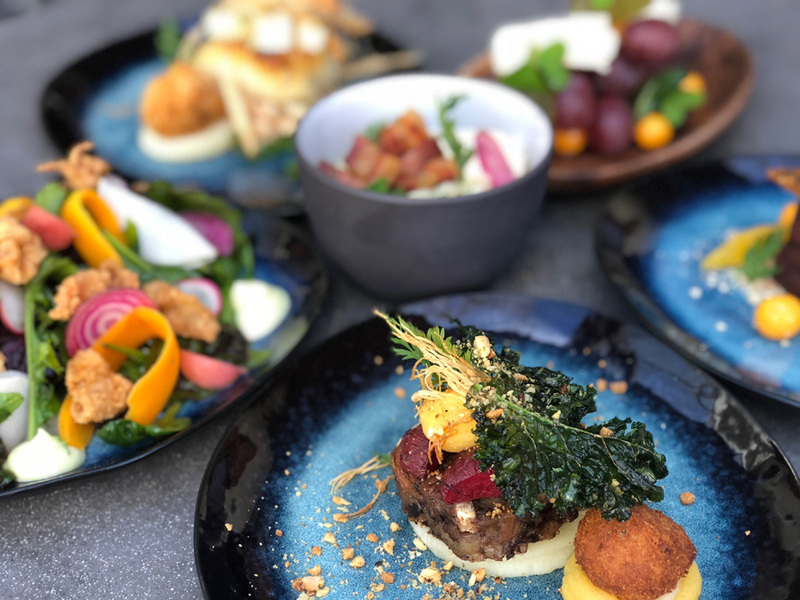 The small plates menu, served from 15h00 to 19h00 daily, offers locals and visitors a taste of what’s on offer at Grande Provence at great winter value. “It’s ideal for sharing and casual, informal dining in spectacular surroundings for a late lunch going on early dinner,” says Chef Guy, for whom sunny winter afternoons are the most beautiful time of the year in Franschhoek. The small plates menu also makes it easy to add a few extras such as freshly shucked oysters or dreamy desserts. Chef Guy and his team love playing with their food and change their dishes constantly by incorporating new ingredients and produce that become available as the seasons change. The Restaurant at Grande Provence is open daily for lunch and dinner. The small plates menu is available at R220 per person for 3 plates of your choice. To book your table, call Tel: (021) 876 8600 or email reservations@grandeprovence.co.za.